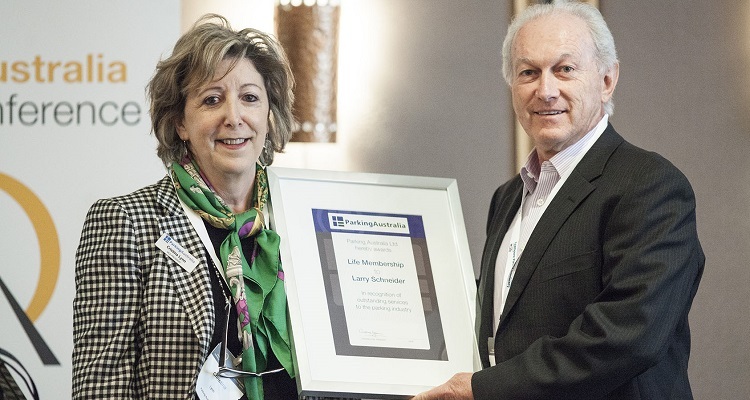 Life members are persons honoured by the Board in recognition of services provided to the parking industry over a number of years, including a highly meritorious contribution to the association itself. The prestigious award of life membership has been conferred upon three former presidents – Leyon Parker, Larry Schneider and Glen Holdsworth. To read about Parking Australia’s current life members – click here. If you know of a Parking Australia member that you believe is worthy of the prestigious award of life membership, please submit a nomination form together with an appropriate supporting statement, to the Membership Committee. Supporting statements should detail the nominee’s involvement within Parking Australia (or the parking industry) and contributions to it. Nominations must be received from a member eligible to vote. To download a nomination form – click here. Benefits to individuals conferred as life member include discounts to the Parking Australia annual conventions, VIP invitations to special events, a complimentary ticket to the annual Parking Industry Awards and acknowledgement on the PA website.